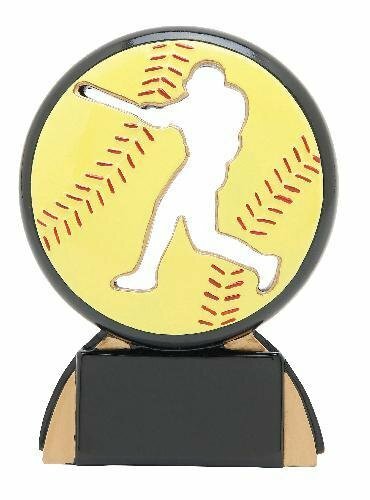 A picture perfect home run swing highlights this unique Shadow Sport Softball award. The softball players swing is cut out in the middle of the yellow softball while red colored stitching adds depth and texture. In addition to coming in 4 1/2" and 5 1/4" heights other sports are available as well. An ample engraving area will accommodate just about all of your personalization needs. Image how proud the kids will be when they get these awards!